I received the QUECHUA QuickHiker Ultralight III Hiking Tent from Decathlon (Thanks Jeannie) for testing and reviewing. On a non rainy day I headed just down the road to a field overlooking the Durham Heritage Coast, where I set about pitching the tent. Prior to this I had not opened the tent, nor read instructions for pitching it. It was a fresh out of the bag ‘pitch’. The first, and only problem I encountered as I set about pitching the tent, was the fact that I had left my reading glasses at home, which made looking at the illustrations a tad hard, and it meant that I made a couple of minor mistakes getting the tent erected. In total, it ended up taking me 20 minutes to pitch the tent. Not bad for a first attempt. My only niggle was the fact that there were 2 tent pegs missing, which meant I could not peg out the guide ropes. Taking the tent down only took me a couple of minutes, and I even managed to get it back in the bag without any hassle, which hasn’t always been the case with other tents I’ve had. Now I have successfully pitched the QUECHUA QuickHiker Ultralight III Hiking Tent once, and learnt from my mistakes, I reckon I could easily fully pitch it in under 10 minutes on my own. The tent itself is very good quality, and I’m sure it’ll last years. It is also very stable (even without guide ropes), so I’m sure it will stand up to all of the weather conditions Britain can throw at it. 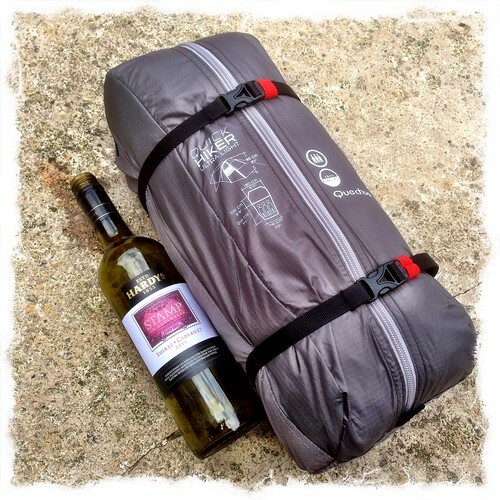 Overall I am very impressed with the QUECHUA QuickHiker Ultralight III Hiking Tent. 2.6 kg. Compact case: 40x15x15 cm. Alu poles. 9.6mm “DAC Featherlite NSL”. Ventilation: 1 Closable air vent at front. Flysheet can be rolled up at back. Total prize value to date: £1140 (from 1st September 2013). 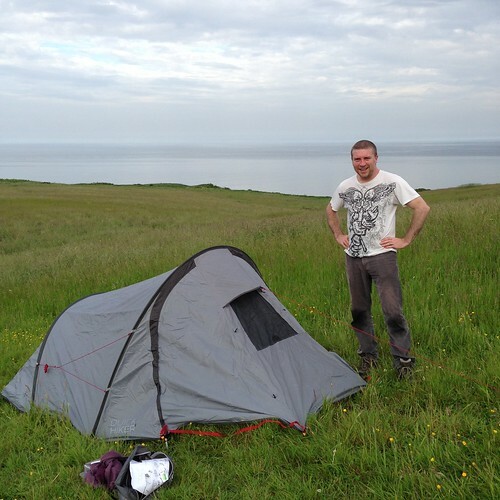 This entry was posted in Outdoor Wear and tagged Camping, Decathlon, QUECHUA, Tent Review on June 16, 2014 by Richard.